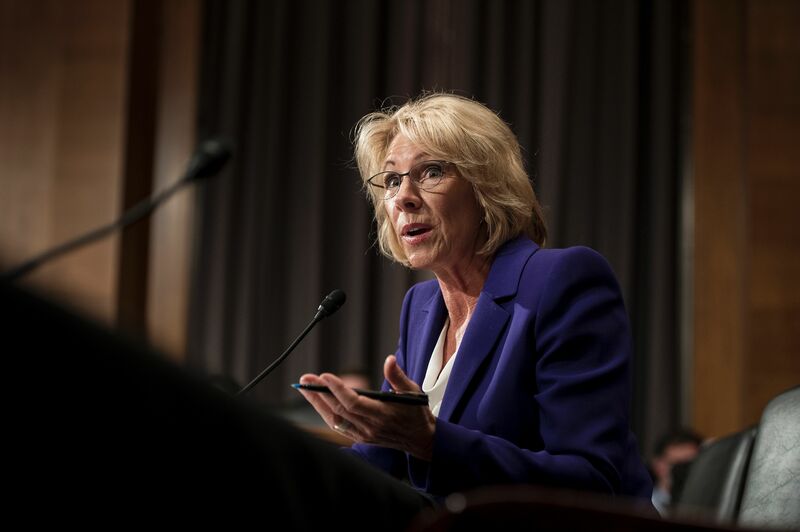 New U.S. Secretary of Education Betsy DeVos faces an uphill battle to sell her voucher-heavy, uber-market brand of school choice to an American public that’s choice-friendly, but voucher-skeptical. Which makes it hard to fathom why she would choose to throw stones at a city that sits atop the school choice mountain. Colorado has statewide school choice. So the Denver menu includes schools in any district where there’s space. DPS has added roughly 50 new schools—a 33 percent increase—to its menu (a combination of charter and district-run schools) since 2009, when Tom Boasberg took over as superintendent (full disclosure: I worked for DPS from 2009-14). DPS has invested millions of dollars and most of its focus on improving its traditional, attendance-area schools, to give families a good menu option close to home. Families also now have a simplified common enrollment system that makes choosing from the thick menu of options user-friendly, and in some areas of the city they have access to free transportation to schools outside their neighborhood, including some charters. The only thing missing from Denver’s “menu”? Vouchers. I take no issue with suggesting there are ways to improve school choice in Denver. Transportation still remains an issue, like everywhere else. And I’m open-minded on the promise of vouchers to enhance choice. I’m just dumbfounded at the strategy of trying to open more minds on choice by trashing a champion of choice. DeVos should be courting, not castigating, Colorado. While many states are fighting over the expansion—or even the existence—of choice and charter schools, we’re way past that. The current debate here is about requiring school districts to share tax dollars equally with its charter schools. That’s because there’s a general sense here that charters are a part of—and not separate from—the overall public school system. A big reason why is Denver, which has most of Colorado’s charter schools. And while they have autonomy over how they educate their students, they adhere to the same accessibility and performance standards as district-run schools. “We do not support private school vouchers,” Boasberg said in his response to the DeVos barb. We believe that public dollars should be used for public schools that are open to all kids, whether they are district-run or charter. A core principle in Denver and one of the main reasons we rank No. 1 nationally in school choice is that we ensure equitable systems of enrollment among district-run and charter schools, where all schools play by the same enrollment rules and all schools are subject to the same rigorous accountability system. We do not support choice without accountability. People are willing to give schools a fair share of public funding when they believe those schools are doing their fair share of educating all kids. That’s what I see when I look at Colorado’s choice landscape. And I see a glimmer of light on vouchers. But it just got dimmer.